A photo automatically posted from the NERAILPIC mail list gateway. 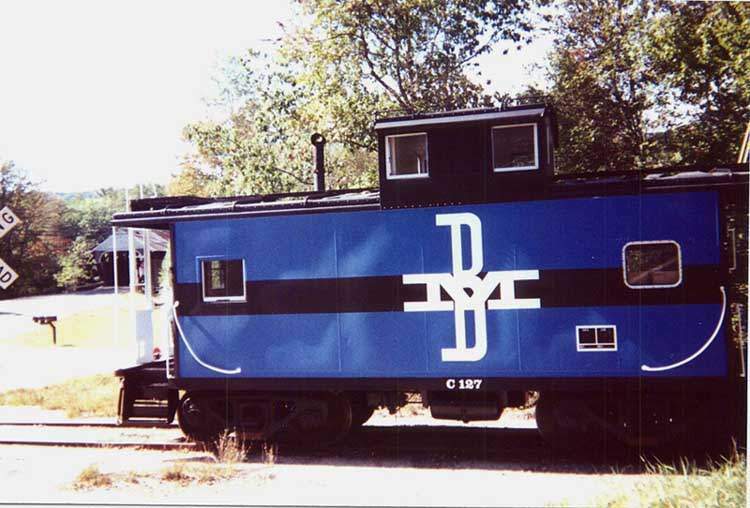 The latest Caboose restoration on the Hobo/Winnipesaukee line is EX B&M C127 pictured here on 9/30/00 attached to the rear of the Winni RR All Day Foliage Trip to Lincoln & back. A brief stop to examine the Blair Rd Covered Bridge in Campton NH enabled this colorful shot. Photographed by George Kenson, September 30, 2000. Added to the photo archive by George Kenson, October 4, 2000.